As well as complying to Par-P of the building code. Consideration needs to be paid to other sections. 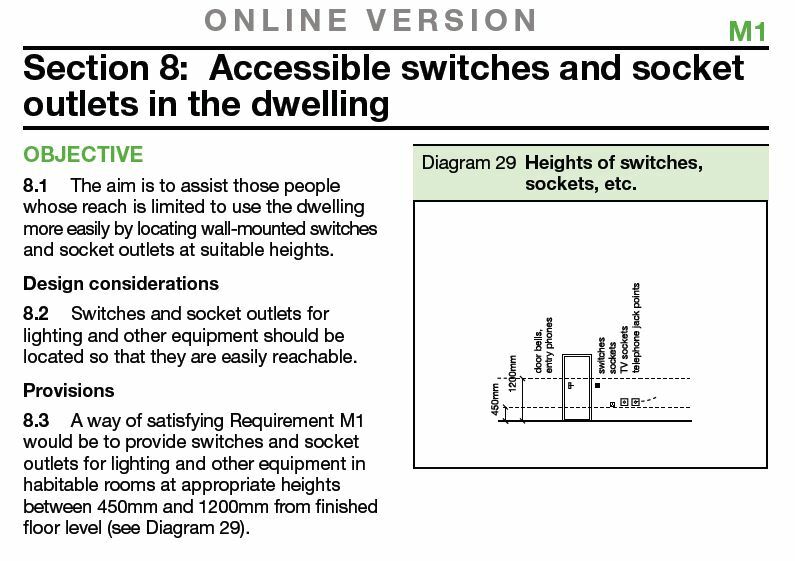 Here is an extract from Part-M detailing guidance on fixing positions and heights of new sockets and switches; Although aimed at new builds these are also used where possible with changes and modifications to existing installations.